The company REISSWOLF provides a safe storage of documents and data. 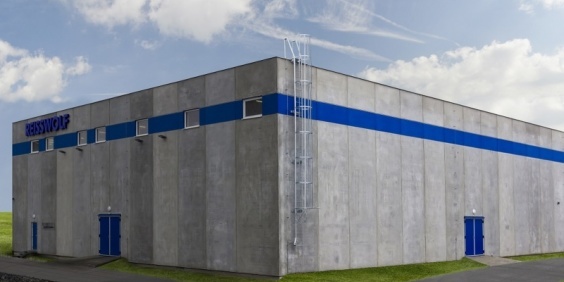 The external documents archivation by REISSWOLF system reduce costs of personnel. The company REISSWOLF provides a safe digitalisation of documents. Check your internal costs for archiving documents in just two minutes! Companies and public institutions dispose of sensitive documents of their employees, customers, or private information. The data must be shredded safely after expiration of the statutory time limit of their archiving, or after their use. Modular safety system of REISSWOLF Company enables to use exactly what you need at that particular moment. The system REISSWOLF is above all safe. The company REISSWOLF likvidace dokumentů a dat, s.r.o. 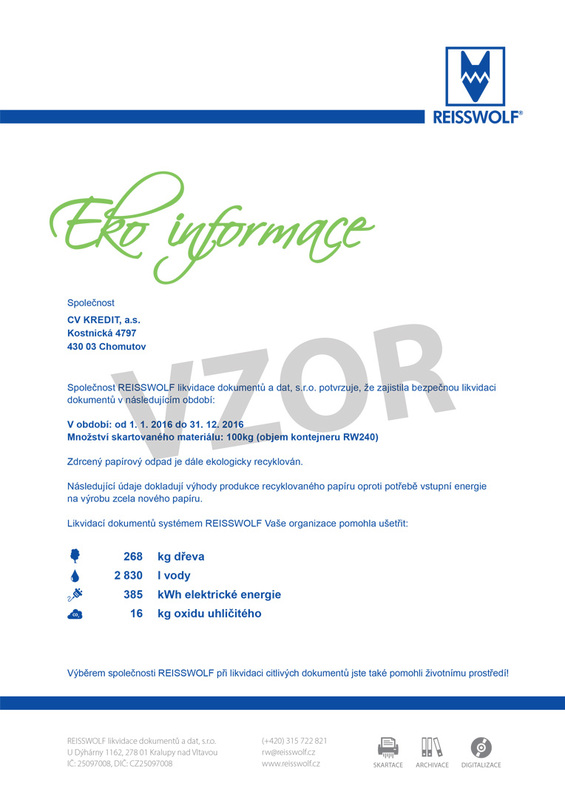 (document and data disposal) started its operation in the Czech Republic in 1996, and it has provided quality services to its customers since then. High safety standards are the basis of our operation. Significant milestones in the life of our company then certainly include development of a new plant in Kralupy nad Vltavou. This plant belongs today among the most sophisticated plants in Europe. All company’s activities are performed with a gentle approach to the environment, in particular with an option to secondary raw material use. The quality of the services provided is also indicated by certificates obtained from the National Security Office, and also the certificate ISO 9001 granted to the company in August 2005. We own certificates to the NBÚ, ISO 9001, ISO 14001, ISO 27001, which guarantees safe disposal of all data. News section brings you news, news related company REISSWOLF. We will also regularly bring news from the data shredding, archiving and digitization of data. Choosing the company REISSWOLF dispose of sensitive documents while helping the environment. We'll issue a certificate of the liquidation and environmental waste management.